2. alertify.js – lightweight, customizable, growl-like notifications that work across browsers and platforms. 3. messenger – Client-side growl-like notifications with actions and auto-retry. 4. humane.js – a simple, modern, browser notification system. 6. Notifier.js – OSD/GNOME non-blocking notifications. 7. jsMessage – Custom notifications, alerts, and confirmations. 8. ios.notify.js – iOS-style notifications built with HTML and CSS3 3D transforms. 10. noty – A jQuery Notification Plugin that optimizes the look and feel of the standard alert dialog. 11. toastr – jQuery plugin for non-blocking notifications that can be customized and extended. 12. ohSnap – simple notification library designed for mobile apps and built with jQuery/Zepto. 13. AmaranJS – Nice, sleek and stylish notifications with jQuery. 18. jGrowl – a jQuery plugin that raises unobtrusive messages within the browser, similar to OS X’s Growl Framework. 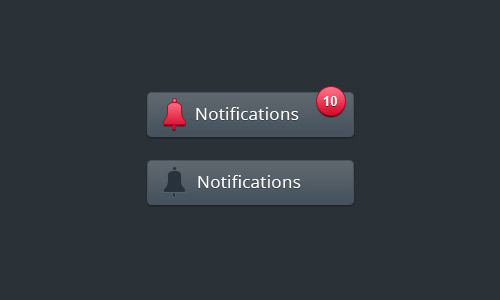 19. notify.js – a jQuery plugin to provide simple yet fully customisable notifications. 21. jquery-toastmessage – a JQuery plugin for Android-like notification messages. 22. jQuery Growl – another jQuery plugin for Growl-like messages in the browser. 28. Angular-Notifications – AngularJS component for easily creating notifications. 32. lr-notifier – a lightweight and very simple notification module for AngularJS. 33. angular-inform – A small growl like message toaster for AngularJS. 35. gToast – super simple Gmail toaster for AngularJS. 41. jquery-bs-alerts – jQuery plugin for displaying Bootstrap alerts via jQuery events. 45. react-growl – Growl style notification ReactJS component. 46. Backbone UI: Alert – notification system for BackBone to display errors, warnings, confirmations and notifications to the user. 49. Meteor Package for Bootstrap Alerts – use BootStrap style notification system inside of a Meteor application. 50. meteor-notifications – tooltip-style reactive notifications to your Meteor application.